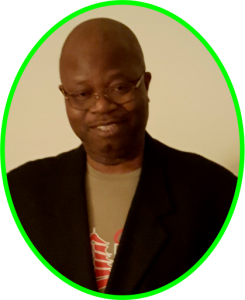 Recovering Failure Inc. – Board of Directors: | Recovering Failure Inc.
Mr. Dele Olaewe is the founder of Recovering Failure Inc. A naturalized American Citizen who came to the US in 1981as a student. He graduated from Alabama A&M University in 1985. Worked in the Printing Industry in Dallas Texas after graduation for a few years. Mr. Olaewe and was accepted into the Graduate Program for Printing Technology at Rochester Institute of Technology in Rochester, New York and studied there from 1988 -1989. Mr. Olaewe worked for a few printing companies up until 2012 when he was laid off from one of the prominent printing company in America due to the nation’s economic downturned. Mr. Olaewe used the situation to start his own apparel company (Cure Sports, LLC), a company he’s still owns and manage, located in Reading, PA.
Mr. Olaewe is married with three adult children. He’s a member of various business organization including the Berks County Latino Chamber of Commerce and Business Owners Trade Alliance. From his broad experience at Retail management, Mr. Toriola brings to the board expertise relevant to the organization, including financial reporting and strategic planning, as well as his knowledge, perspective and corporate governance expertise. These skills and experience are the result of his long and successful career during which he served in several leadership positions, including project manager at Verizon Wireless. Peter Louis Stanish is resident and commercial developer in the city of Reading PA. He was born in Philadelphia and is self-employed entrepreneur. He and his wife own the Louis Long Gallery in Reading PA, an art gallery helping support regional artist and hosting several community events yearly. Starving Artist Winery also located in Reading PA. was founded by Mr. Stanish in an effort to contribute back to the art community through marketing and wine sales. Peter Louis enjoys time Ocean Sailing with his wife and 5 children. He plays the sport of Polo as well as casual horse riding. Since having a love for wine making, he has developed 14 varietals to market through the Starving Artist Winery. 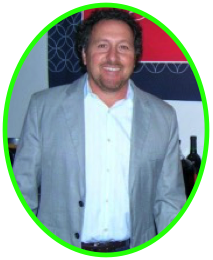 Peter Louis’s main objective is to be supportive of other entrepreneurs through consulting and bringing four decades of business development to those that will listen. 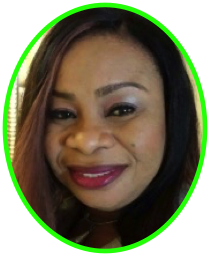 Olubunmi Shade Tosan, a paralegal with B.A English, Christian and mother of 4. Affiliations Eko Club international, Social Secretary, Eko Club Ohio, founding president, Eko Club Austin Texas. Strong belief in charity and helping others in need. Problem solver, dedicated and persistent hard worker.